After two years of research, writing and learning, my ecourse, Bloggerific: a Guide to a Beautiful, Successful Blog is finally complete! I love to help other bloggers reach their goals and get noticed but I've always felt that there's so many important things that I could never include in a single email so I decided to write Bloggerific to put all of my knowledge of blogging in one place. I teach what I know about finding ideas for posts, engaging your readers and getting more traffic, being awesome on social media, blog design tutorials and eventually making money through blogging. 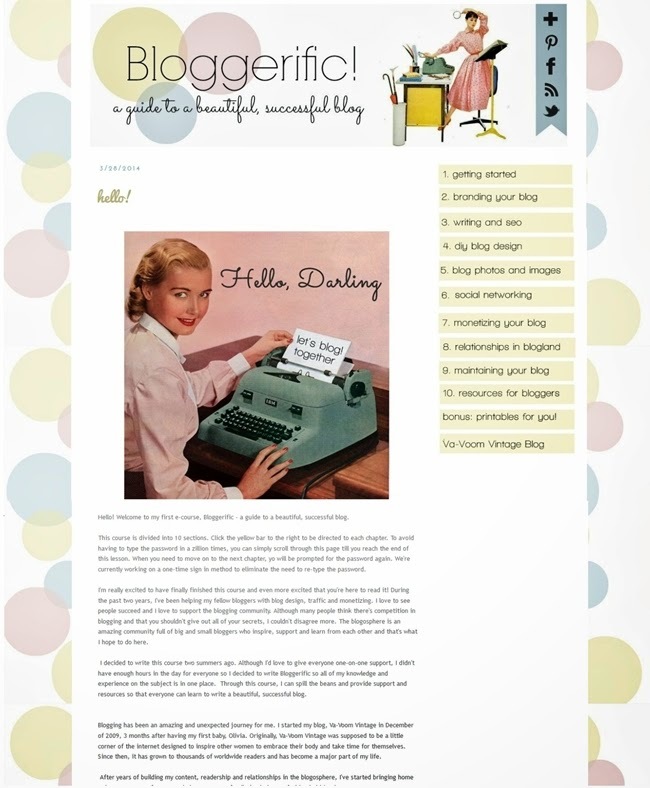 Bloggerific is not an ebook or pdf, it's a retro styled blog! You'll always have access to Bloggerific so you can read at your own pace and go back later to reference topics. I also designed a set of vintage themed printables to help keep your blog organized. 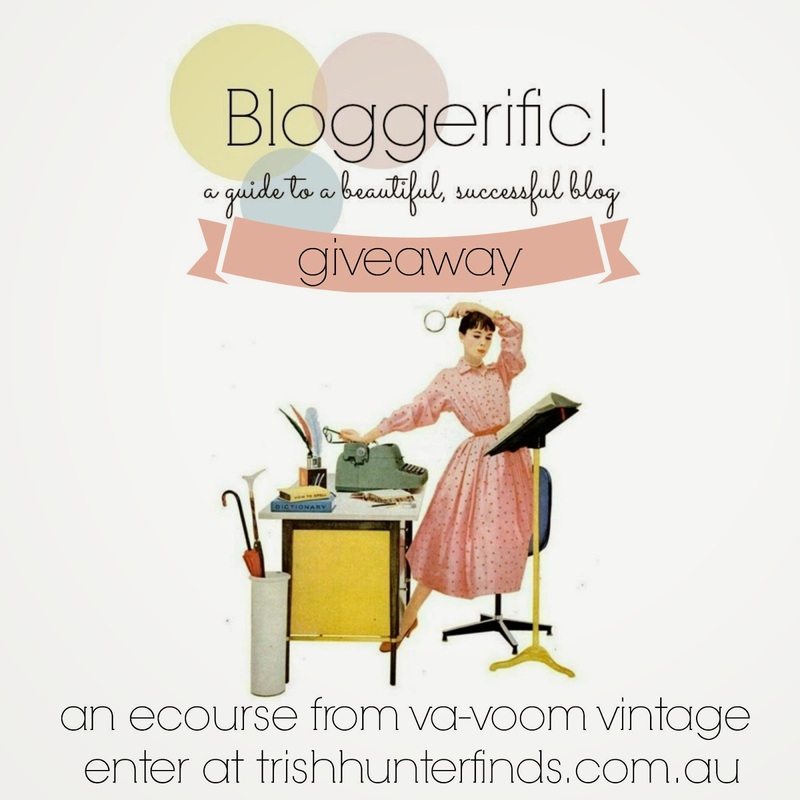 Check out the lovely review of Bloggerific from Trish Hunter Finds and be sure to enter the Bloggerific giveaway! Also this week, my very funny friend, Lexi DeRock is hosting a giveaway on her blog, Voluptuous Vintage Vixen, for a copy of a new comic featuring Lucy, a plus-sized rockabilly super hero. I love Lexi's blog for her humor, truth and down to earth attitude. Her most recent post about 30 things every fat chick should have and know before 30 is absolute gold! Thank you for checking out Bloggerific and when the giveaway is over, you may purchase the Bloggerific Ecourse here! I'm already so excited to draw the winner! So many lovely readers are all so excited!! Loving teaming up with you for this! !